So everyone has probably been to Washington, DC – or at least have heard of it. There’s plenty of Museums and sights to see. There’s the National Mall, the Air & Space Museum, the Museum of American History, the Marine Corps War Memorial and literally hundreds of others. The architecture is amazing, as is the history and tradition. However, if you venture just outside DC – you can see a couple of museums that are world-class, but you won’t have to battle as many tourists because they’re not as well known. The first one is the National Museum of the Marine Corps (http://www.usmcmuseum.com/index.asp) located in Triangle, Virginia only about 15-20 minutes outside of DC. It is a very well done museum that follows the history of the Marine Corps from 1775 to the present day. 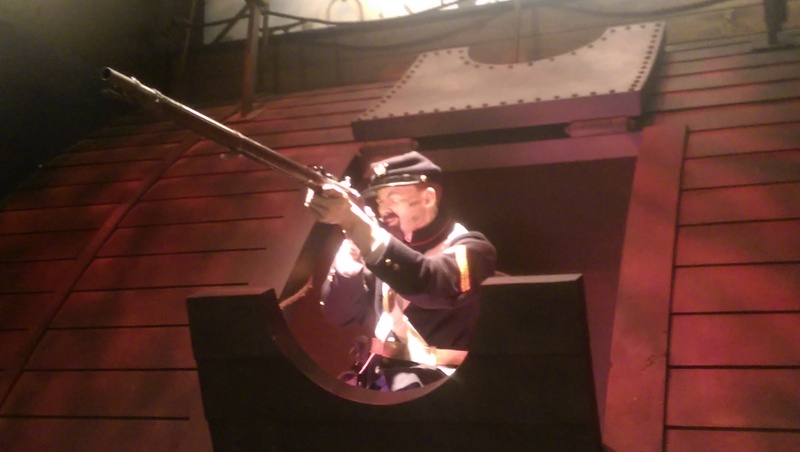 Lifelike dioramas are throughout the various different wartime periods, and bring the story to life. At the end of the museum, there’s a well-stocked gift shop. When you finish up the museum and walk into the gift shop, you’ll be surprised how much you end up spending. You will walk awe in a state of awe. 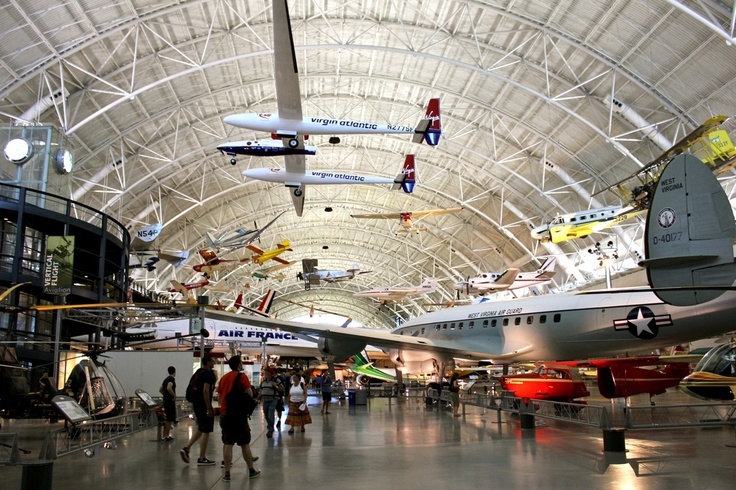 The other museum that’s just outside of DC is the Smithsonian’s Stephen F. Udvar-Hazy Center (https://airandspace.si.edu/visit/udvar-hazy-center/), which in some respects is better than the Air & Space Museum on the National Mall. It is a large T-shaped hangar that is filled with every conceivable aircraft you could possibly imagine, an IMAX theater, an observation tower and a gift shop. You’ll be able to see some aircraft that you probably never thought you would see in person. Aircraft such as the Space Shuttle Discovery, an SR-71 Blackbird, the Concorde, the Enola Gay, and a very new special addition. 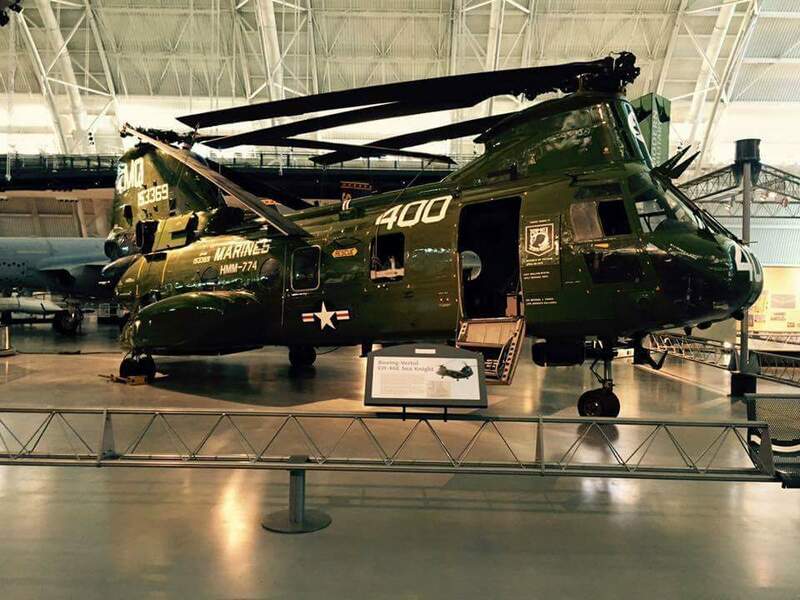 The CH-46E was inducted on August 1st, 2015 – and is on display until the National Museum of the Marine Corps expands and has room to display it. That aircraft also happens to be the last CH-46E I flew in the Marine Corps, so you could call me a proud daddy! MQ 400 – the last CH-46E I flew in the Marine Corps. On display at the Stephen F. Udvar-Hazy center. I highly recommend if you have time in the DC area – that you visit either or both museums. They are incredibly well done, and either one could soak up an entire day.